Japan Water Forum(JWF), who’s Asia-Pacific Water Forum(APWF) secretariat, attended the seminar, entitled “Regional Seminar on Integrated Approaches for SDG Planning: The Case of SDG on Water and Sanitation” (hosted by ESCAP), held in Bangkok from November 28th to 29nd and we gave the presentation about implementation of integrated water resource management in Nagoya city. ※For details of Agenda, please click here. (1)Develoing a tool for achieving SDGs 6. 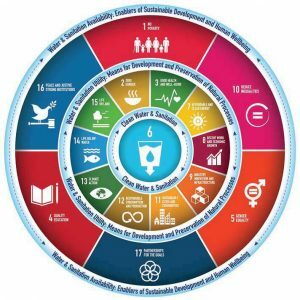 UNESCAP has developed a tool for analysis of the interdependencies and linkages between 17 SDGs, which applies a systems thinking approach. In the meeting, we shared knowledge about integrated approaches to SDGs6, and exchanged views about the institutional framework for implementation at national and municipal levels, as well as the establishment of partnerships within the Asia-Pacific region. 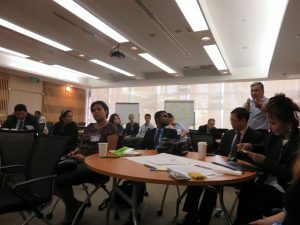 We referred to the necessity of promoting self-help and mutual assistance in the Asia-Pacific region through partnerships like APWF for complementing , enhancing and sharing data used to evaluate the current situation and progress as well as through partnerships which would bring together various experts and practitioners in the region. in Asia-Pacific, 9-10 November 2015. We made a presentation on an initiative implemented in Nagoya: Water Cycle Revitalization 2050 Strategy and its approach as an example of integrated water resources management for developing a sustainable and resilient city. The points of strategy are below. -1, The city of Nagoya came up with the Vision 2050 for Creating Environmental Capital, clearly showing the direction and the process of the initiative during the coming 10 years by using a back-casting method, and setting quantitative goals, managing the progress . programs with residents, local governments and small businesses in water resource areas, promoting widely ranging cooperation for economic revitalization and independence in the watershed areas. 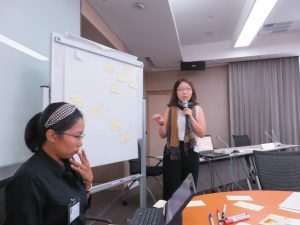 We, JWF continues to make policy recommendation for mobilizing resources properly in order to achieve SDGs6 in member countries of the Asia-Pacific region, by using knowledge platforms created by partner organizations, and promoting collaborative and mutually supportive relationships through APWF activities.